How HealthifyMe is revolutionizing the health and fitness industry? Indians are becoming more health conscious and keeping this factor in mind, many entrepreneurs have started their career in health and fitness sector. These startups are guiding people in eating healthy food, and guiding in their workouts. Suhasini and Anindita Sampat Kumar started Yoga bars to help people eat healthier; while Gaurav Jaswal and Gul Panag started MobieFit to guide people to take up running. There are many startups that provide fitness trackers and virtual coaches such as Vishal Gondal’s GOQii, Orobind, FitHo, GetActive etc. World’s most valuable startup Xiaomi too has a fitness tracker known as Mi band. Thus in this competitive scenario, entrepreneurs are gaining advantage through their unique strategies and advanced features. Tushar Vashisht and Sachin Shenoy co-founded HealthifyMe. After Tushar conducted the “Rs100 a day” experiment, harsh reality of poor people living below the poverty line came in front of all. Again in 2011, Tushar and one of his friend conducted a lifestyle experiment in which they lived at the government specified poverty line of Rs 32/day. These two experiments created a noise in the society and highlighted the mission of Tushar. This inspired him to co-found HealthifyMe, the world’s first Indian nutrition and calorie tracker for healthy living. During the experiment, they kept on making an excel sheet with nutritional information of Indian food. When they went to various places speaking about the experiment, they shared the conclusions with the enthusiastic audience. After consulting various industry experts, they found out that there really wasn’t any nutritional information database for Indian food. They worked with the National Institute for Nutrition to curate and build the list further believing that they had the world’s only comprehensive database of nutritional information of Indian food.This database lies in at the core of HealthifyMe, which is a personal coach that aims to get users to eat healthy, lose weight and get fitter. Their working team includes members in core team across technology, operations, sales and marketing and a team of nutritionists. Why we choose HealthifyMe as Startup of the Week? The startup has revolutionized the health industry through its innovative ideas and more advanced features being offered in the mobile app. Till date the Facebook fan page witness more than 28K fan followers while twitter has over 476 followers. Within a short interval, the brand has received 2 rounds of funding. 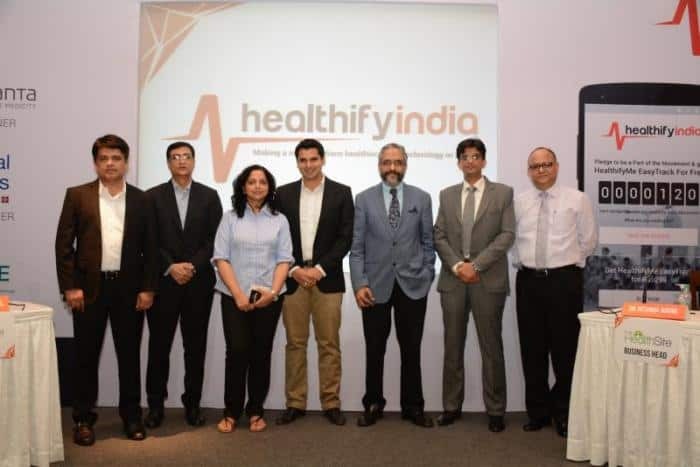 In the first round of funding, the company raised undisclosed amount from Indian handset maker Micromax in May and most recently a day before, HealthifyMe has raised fund from many individual investors. HealthifyMe will soon establish its global headquarters in Singapore and has given the signal to move globally. The funding amount will be utilized in hiring more talent to over 1,000 nutritionists and fitness trainers. 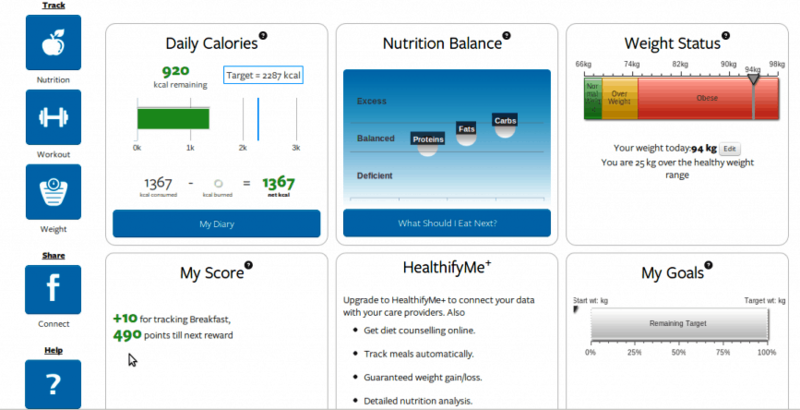 Users need to download the app and feed in their target weight and the app creates a custom plan for them. Users need to ensure that they stay within their meal budgets and exercise as needed. The app includes a database of over 10,000 local or regional foods in 13 Indian languages, so as to reach out to the largest demographic possible. The HealthifyMe app is free to download and is available on both Android and iOS. However, users need to pay to access some of their premium services which include nutritionists, fitness trainers and yoga experts delivered in-app. HealthifyMe provides various services according to the package price. The services costs Rs 1,800 for two months that has access to 1 expert and 1 telephonic consultation a month, Rs 4,000 for six months for access to 2 experts and 2 telephonic consultations a month, Rs 6,500 for six months with access to all experts and 3 telephonic consultations a month and Rs 10,000 for a 1 year plan with access to all experts and unlimited telephonic consultations. Some of the other premium features include photo tracking, voice tracking, customized health plans. Users can use the app for free if they do not need a trainer or customized fitness/diet plans. Other than this, HealthifyMe claims to be used in clinical settings in various hospitals including Apollo and Medanta in Delhi and the Manipal Hospital in Bangalore. The most popular service is probably from GOQii, which also offers users coaches to choose from when buying its fitness trackers. GOQii’s and HealthifyMe’s prices are also quite comparable as GOQii offers subscription plans for 3 months, 6 months or 1 year, at Rs 3,999, Rs 6,999 or Rs 11,999 respectively, along with a free wearable band. HealthifyMe has the plans to capture the Indian market and now has given the clue to move globally. Current app users are the audience from the age group of 20 to 45 and the company is targeting a wider audience now. While they have their own wearable device in the market currently, they are moving forward to focus only on their software and integrate their services with other wearable devices.